If you want to look like an elegant maiden from the Victorian period or like a lovely southern belle then you'll need the right accessories! You'll need something that has the graceful beauty of an antique. 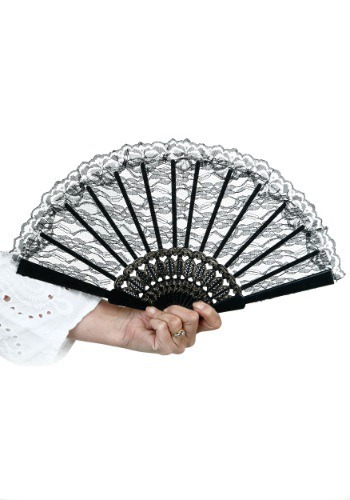 Before you start rummaging through antique stores all around town to find the perfect items, check out this Black Lace Fan! This is a must have if you hope to resemble the sophisticated women of past generations. Fancy yourself fanning off the heat on a hot summer day whilst you sip your ice tea. Envision playfully hiding behind the black lace design when suitors attempt to meet your eyes. Imagine giving a pesky mosquito a good thrashing when it flies too close to you perfect face. 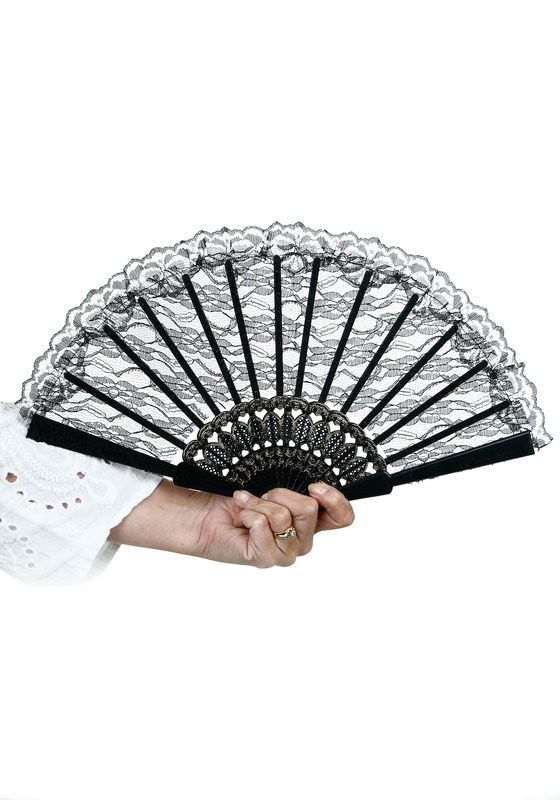 This Black Lace Fan truly is something of beauty which is all the more reason for you to add it to your dandified costume or even to your favorite formal wear.